Reading is one of the best ways to relax. It's been said that 'even six minutes is enough to cut stress by more than two-thirds'. In this day and age who doesn't face stress? I'm sure we all know someone, ourselves included, that at times desperately needs some kind of reprieve to regroup. So what better way to give someone we love the gift of relaxation than by means of a few pampering items to help them enjoy a peaceful day. A cozy day under a soft plush blankie, soothing candle light, along with a hot cup of tea accompanied by some sweet treats with a book in hand is one of the ultimate days of rest. 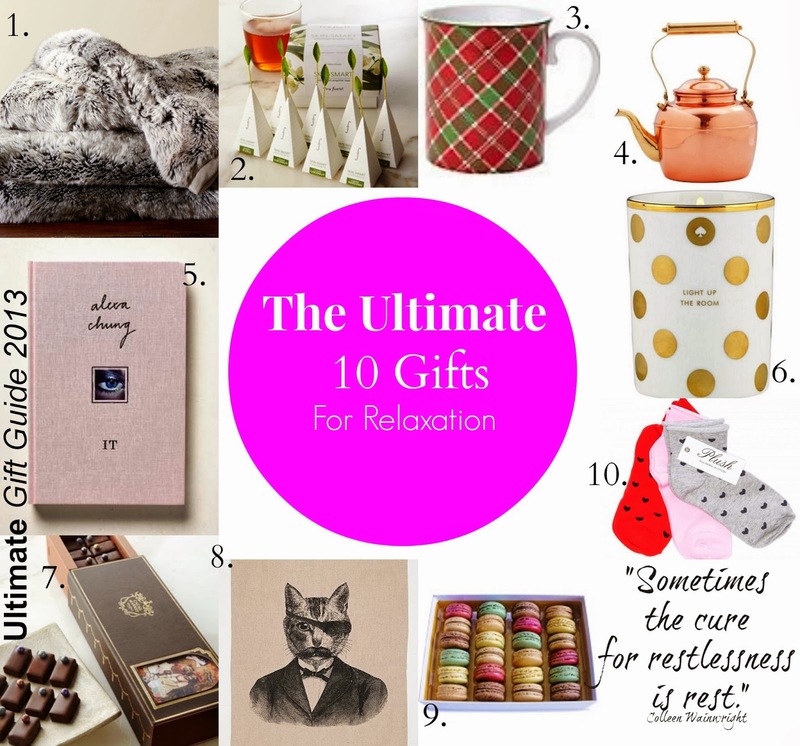 Knowing the benefit that can be reaped by treating oneself to such a day, I wanted to share a few of my favorite simple gift items that have made it easy to immerse oneself in a day of relaxation.